The Cult of Mac has a giveaway. You can register your email and they will give away one bundle of Omni Group applications. A $580 value as they say. The question is, would you ever have spent $580 on these apps? Mind you, they are pretty good. But go to the Apple App Store and see how much the best selling apps cost. OS X Lion, iPhoto, Pages, Numbers, Keynote. They are all cheaper than what Omni Group is asking for their apps. Software does not have a unit cost. 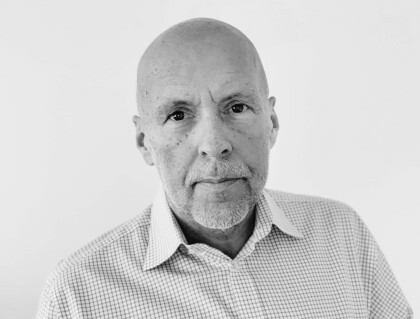 You develop the software and sell it through a channel that takes a fixed cost. Sell 1000 copies for $1 or one copy for $1000, your revenue is the same. There are a few expensive programs on the App Store that are doing relatively well. Final Cut Pro, Aperture come to mind. 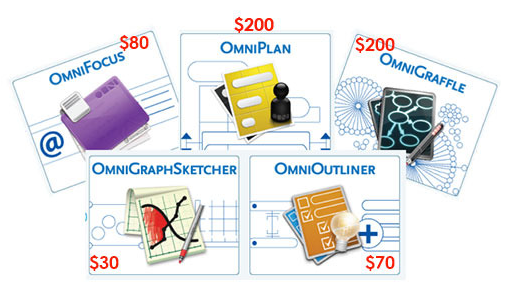 But I suspect that Omni Group would have much better revenue, if they sold OmniGraffle for $20 than at its current price of $200. Sie haben einfach nur versucht in deinem Gehirn die Kauf-mich-sofort-du-machst-ein-Schnäppchen-Region anzusprechen. Ging wohl daneben. I think you miss one important point. Selling 1000 copies means giving support for 1000 people. Which results in the same revenue, but definitely not the same profit. Going for a higher price normally targets most of the time the customers that are serious about your product. People that know what your product is worth to them. Selling it for a lower price means you have to handle customers that bought your product just because of the low price. Even if it doesn't exactly fit their needs. It is definitely no fun to handle those customers. I aggree with Niels to a point but I belive that Mr Weber is looking at wider picture . everyone one that buys will show / tell 10 people. So its better to have 10.000 people looking at you app then 10 . I believe the business has changed and Omni Group hasn't adjusted yet. >>Residents of Taiwan, South Korea, Portugal, Italy, Austria, China, Russia, Hong Kong, Greece, France, Japan, Spain, and Czech Republic are not eligible to enter or win. Hm - the rest of my comment got truncated in the posting process. I wondered what those countries had done to get excluded. Nice theory... the only problem is: OmniGraffle and OmniFocus regularly appear in the list of the 12 apps with most revenue in the AppStore. So I don't think Omni Group should 'adjust' to anything..